How Do the Yellow Perch Fish Spawn? Why Do Salmon & Other Fish Swim Upstream? Salmon and other fish swim upstream because they must make the journey for reproductive purposes. Salmon and a number of other fish, including coho and rainbow trout, follow a familiar scent that leads them back to the location of their birth. This is where the circle of life begins and ends for each species. Scientists indicate that salmon and other types of fish are naturally predisposed to the journey upstream. According to an article in USA Today, scientists state that home odors are embedded in the minds of certain fish. Home odors are smells that are unique to each body of water. When the fish reach maturity and wish to spawn, or reproduce, they are instinctively drawn back to the place of their birth by the home odors. Their bodies prepare for reproduction as the reach the home odor source. When fish mature, they feel an instinctive need to reproduce. Certain groups must travel upstream. 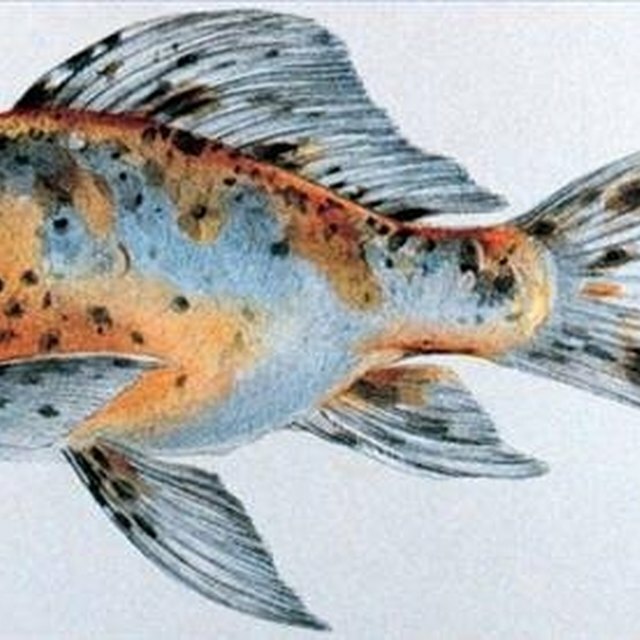 During upstream spawning, large numbers of males and females congregate to fertilize a number of eggs, which guards against predators wiping out an entire species. Upstream waters are calmer, creating the perfect environment for embryo growth. Most species require a lengthy gestation period. On average, it takes three to four months for salmon eggs to hatch. Downstream waters are more active, increasing the risk of eggs being swept away. Adults die within a week of spawning, leaving the young to fend for themselves after hatching. Their decaying bodies create a nutrient-rich environment for the growing embryos. Young fish have yolk attached to their throats, eliminating the immediate need for a food source. After a month or so, they feed on insects, which are in greater abundance at gentler upstream bodies of water. They eat larger items after migrating to larger bodies of water. Swimming upstream for spawning purposes simplifies migration. Younger fish who do not possess the strength to swim great distances follow the currents downstream. Larger food sources are available, allowing them to increase in size and prepare for their own spawning journey in the future. 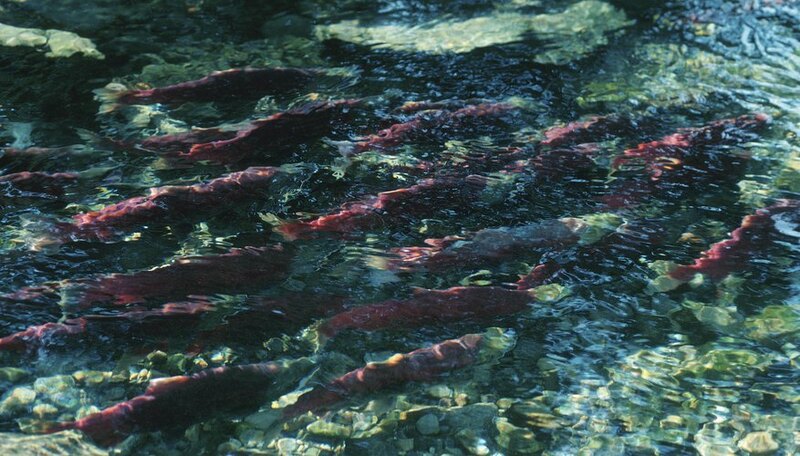 Thus, salmon and other fish swim upstream for the benefit of future generations. Blue, Jade. "Why Do Salmon & Other Fish Swim Upstream?" Sciencing, https://sciencing.com/do-other-fish-swim-upstream-8706847.html. 24 April 2017.